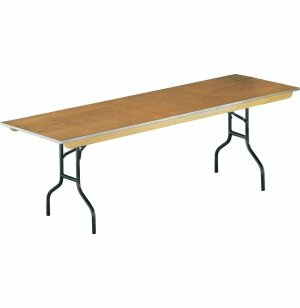 Plywood Rectangular Banquet Table 96"x36"
This large (eight foot) folding banquet table makes setting up for big events a snap. 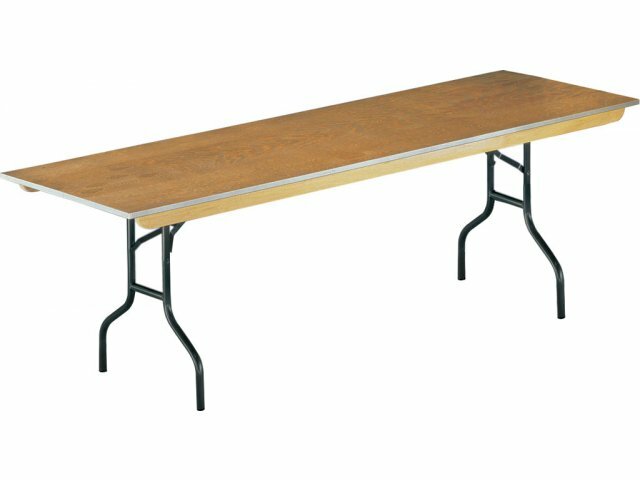 Tables are easily stored when in the folded position. The plywood core makes the table durable but also relatively light. Setting up just requires you to unfold and lock the legs into place..
Several features promote the table's durability. The top has double-cross bracing for maximum strength. 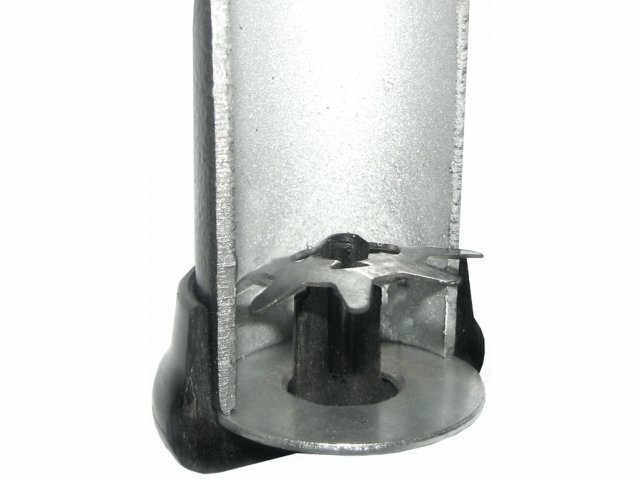 All the edges are encased by galvanized steel to prevent cracking and fraying. The table surface is sealed with two coats of lacquer to repel spills. Finally, when you are short on storage room, these tables have individual extra-wide, through-bolted wood runners that make stacking simple.